This may be one of the tastiest dessert recipes that doesn’t require a lot of time to do. It looks good even for a special occasion, but you’ll be surprised at how easy it is to make! I used this recipe on allrecipe.com, with the main thing changed being the amount of ingredients on strawberry sauce. I made a lot less than the recipe calls, and it was the perfect amount for 5 parfait glasses. But if you like more sauce, you can always change the amount. Combine milk and gelatin in a small bowl. Combine heavy cream and sugar in a saucepan over medium heat. Stir in gelatin mixture and cook for about 3 minutes, until gelatin dissolves. Add vanilla extract. Pour the mixture into ramekins, cover and chill at least 4 hours. 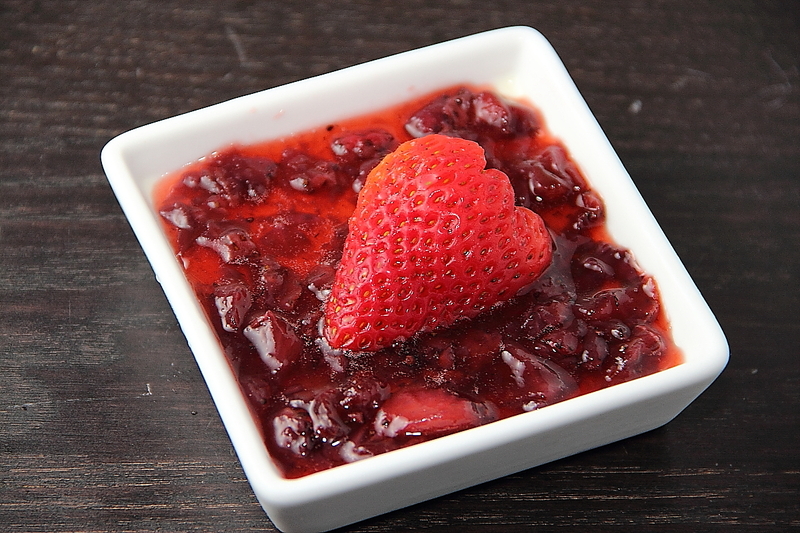 Strawberry Sauce: combine strawberries, 2 teaspoons vanilla extract, 0.25 cup sugar, and water in a saucepan over medium heat. While the mixture cooks, crush the strawberries with a potato masher. Simmer the sauce until the sugar has dissolved and the sauce has thickened, about 10 minutes; cool. 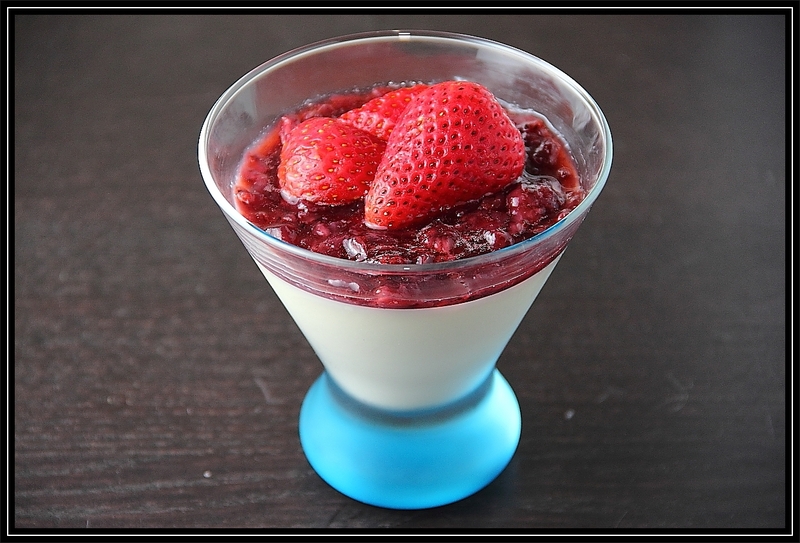 Remove chilled ramekins from the refrigerator and spoon strawberry sauce over panna cotta to serve. can you please make a recipe on 港式番茄焗豬扒飯? thank you!